The Beta week is over – as we’ve imagined there were a couple of really interesting bugs to be fixed and it seems solid. The last tricky thing was about Marketing. App Store allows you to show 5 images of your App. They call it ‘screenshots’ but it is actually much more than that. If you have something to say to potential buyers, chances are the only real opportunity relies on those 5 images – so, it is not just making screenshots and uploading them… you really must put some effort on creating convincing scenarios in which your app will be useful to the user and write concise, powerful texts to clarify what your app is all about. 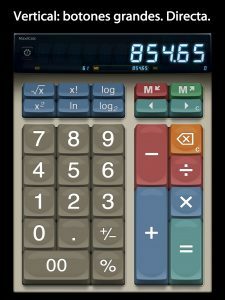 A screenshot in Spanish showing MaxiCalc in its Portrait mode. You just don’t do that in English. Ideally, we should at least do it in 8 major languages. This time we started only with 3: English, Spanish and Portuguese (we will certainly expand it in next updates). The choice of words is a perfect blend of highly entertaining brainstorm and hell’s nightmare – you bring 4 people in a room and the same words give distinct meanings and nuances for every single one of them. But, you eventually finish everything and the big moment arrives. It was today. We compiled it for the last time. Packed. Digitally signed and Submitted. MaxiCalc, our kid, is now on its own, far from us – waiting in a long line of anxious Apps to be reviewed by someone at Apple. How exciting is this! Ok, maybe we are romanticizing a bit… a lot. But it is not that different from a big premiere after months of rehearsals and preparations. 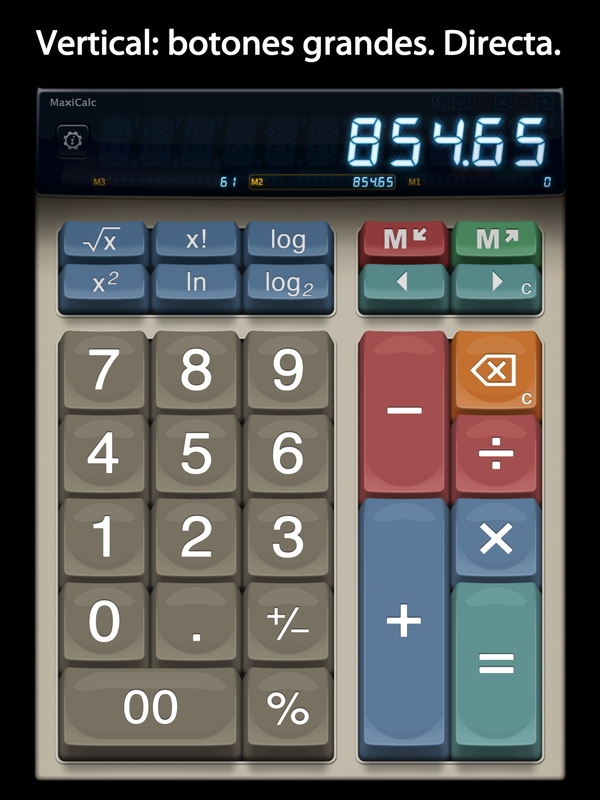 We can’t wait for MaxiCalc to be finally out for everyone to see it, hopefully buy it and use it. This entry was posted in Blog on May 8, 2013 by Everson Siqueira.